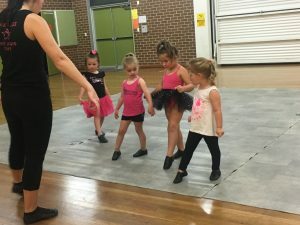 We have an online system where you can create your very own parent portal – https://dancestudio-pro.com/online/maxijazzdancestudio. How do I know what class is right for me/my child? We offer students to come along for a placement lesson so as our teachers can ensure the class chosen is the right one for your child! A $15 placement lesson fee is payable for the one lesson, however upon registering for your chosen class, it will be taken off your monthly fee. Are parents/guardians allowed to watch the classes? Throughout our experience over the past 30 years and with the support of our families, our classes at Maxi-Jazz are purely focused on learning for our students. To ensure that this learning environment is 100% right for them, our studio rooms and classes are exclusive for our students only. Our families at Maxi-Jazz absolutely love the class progression notes they receive on the amazing parent portal, and are thrilled to look at the videos and photos that they receive each year. Do you have a trail lesson? Yes, we offer students to come along for a placement lesson to as our teachers will ensure the class chosen is the right one for your child! A $15 placement lesson fee is payable for this lesson however upon registration, it will be taken off your monthly fees. Concert music for home practise. Our Tiny Twirler students even receive a FREE Dance Uniform! What do I wear on my first class? 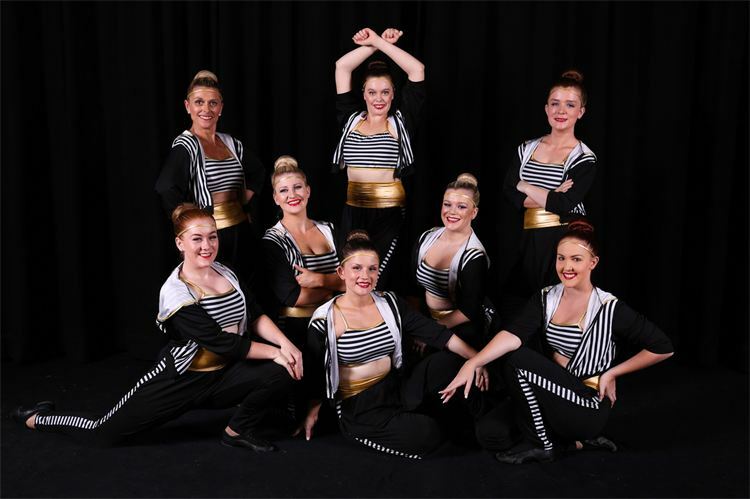 Our studio colours are Black and Hot Pink, we do have a large variety of Maxi-Jazz uniforms in our Dance Retail Shop located within our Wallsend studio, otherwise you are welcome to wear anything that you already have at home within the studio colours. Your class teacher can advise you if it is suitable or not. For shoes, we recommend that you wear little black slip-on or canvas shoes, nothing chunky like joggers and definitely no jiffies as they are too slippery. Once you have decided that Maxi-Jazz is the right studio for you and are happy to commit to the class/es, you will need to purchase the correct footwear for your class/es and make sure you have an appropriate uniform to wear to class each week. Do students have to particpate in the end of year concert? Our mid-year concert is optional for all our students but is a great introduction to the stage with having no costumes or no hair or make-up. Just simply the students showcasing their talents and progression during Terms 1 and 2 for their family and friends. This is a great opportunity for students to gain confidence and feel comfortable on stage with their fellow peers. 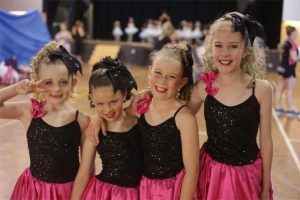 Can I use my Active Kids Rebate Voucher with Maxi-Jazz Dance Studio? Yes! The NSW Government is helping kids get active with the new Active Kids program and we’re thrilled to be a registered provider! Please click here to find out more information. Each term we hold a disco or a movie night for students to attend, as well as having an out of uniform day on the last week of each term. These discos and movie nights are a great way for students to meet new friends outside of their classes and our out of uniform days have our students leaving for their school holidays on a positive note and eager and ready to come back to learn more. Throughout the school holidays we also have themed Fundays where students and their siblings or friends can come along and dance, do crafts, cooking and other activities with lunch and snacks provided whilst getting to know their teachers and peers (and giving parents a well-deserved rest). Connect with us now for more information about enrolling with Maxi-Jazz!